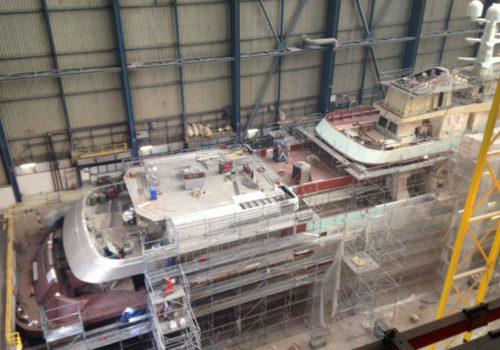 Refit Legend - Diana Yacht Design B.V. 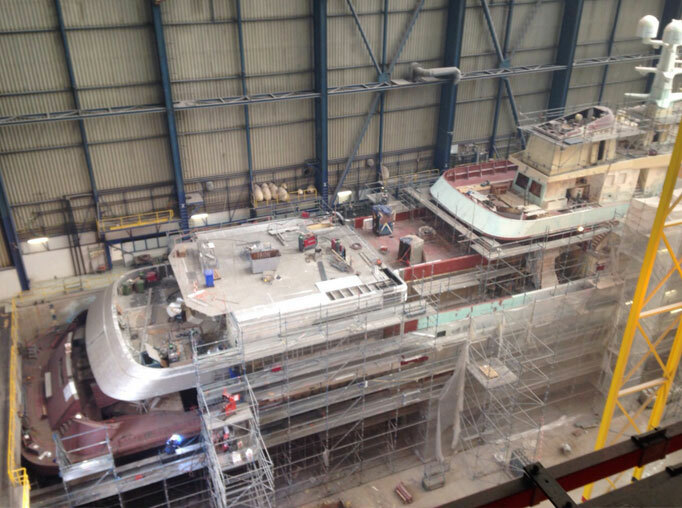 The 3.6 meter long stern extension of Legend recently completed, she now measures a total length of 77.4 meters long. The extra space which is created by this extension will be equipped with a swimming pool and swim platform. Some other modifications which are in progress are the fully certified helicopter platform, a garage with crane for the submarine and an extension of the bulwark so she will get a sleeker look. The picture on the left gives a good view of the enormous change of her stern.